Microsoft finally pulled the plug on its free upgrade offer to Windows 10 on July 29, 2016 following a year-long promotional campaign. This means that Windows 7 or Windows 8.1 users cannot upgrade to the latest version of Microsoft’s operating system free of charge post the above deadline. As of July 30, 2016, the upgrade notifications stopped and the GWX tool began disappearing. 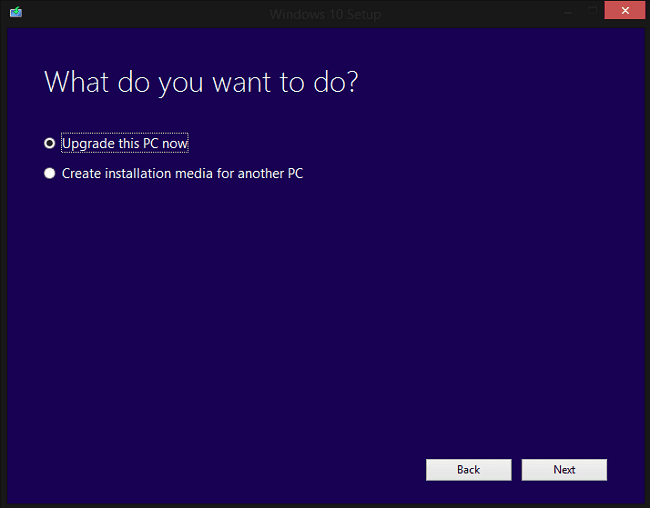 Theoretically, the only way to get a Windows 10 upgrade is to pay for it. However, it seems that you may still be able to legally upgrade to Windows 10 from Windows 7 or Windows 8.1 and claim a free digital entitlement, without being forced to jump through any hoops. As long as you are using a valid version of Windows 7 or 8.1, the following method to upgrade for free should work on your PC. 1. Visit the Download Windows 10 website. 2. Click Download Tool Now. 3. Once downloaded, run Microsoft’s Media Creation Tool. 4. Next, choose ‘Upgrade this PC now’ option and follow the on screen instructions. 5. Once done, you will be given a license key for Windows 10.
and activate the license key. If you upgrade to Windows 10 using the method above, you will also be able to download the Windows 10 Creators Update which is tipped to be available in April this year. The Windows 10 Creators Update is expected to include a host of new features and could also have a fresh new look. Does not work from a fresh Win 8 install. Wait, that was because I hadn’t activated yet. Seems to work! Haven’t gotten a key yet though. can i still upgrade even if i have windows 8?